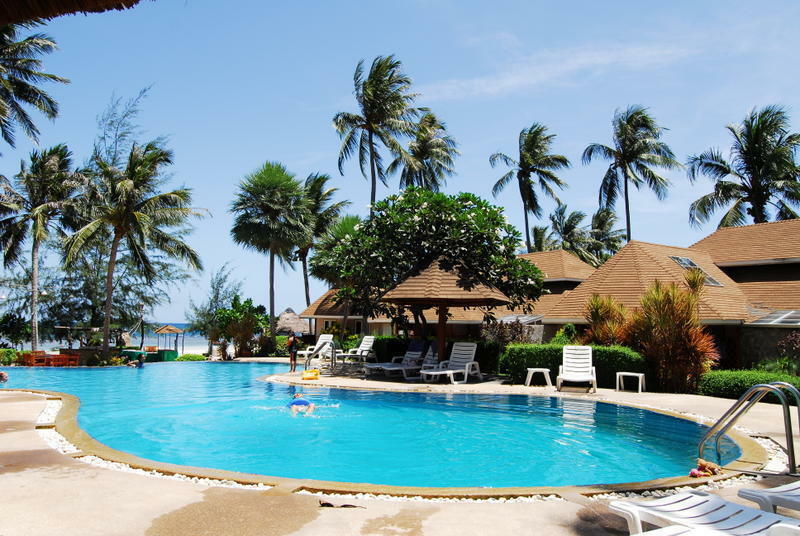 Nomads Koh Tao accommodation is based in the Coral Grand Resort which is located on Sairee Beach - The most popular backpacker beach on the island. The resort is located on absolute beach front and shares the grounds with Coral Grand Resort. Koh Tao is famous as one of the most outstanding diving locations in the world which was founded as a backpacker mecca less than two decades ago. Whether you want to dive, chill out on the beach or explore the island....Nomads koh Tao is the ideal base to explore from. Our Nomads 8 bedded Mix dorm rooms have all linen and towels provided, the rooms have aircon, individual light and plug point for each bed lockers and complimentry toiletress. The quickest way to Koh Tao is to fly Bangkok Airways which fly directly to Samui from Bangkok, Krabi, Phuket, Singapore, Kuala Lumpur and a number of other destinations. Upon arrival at Koh Samui, one can arrange transfer to through the airport information desk. Koh Tao can only be reached by boat as there is no airport on Koh Tao(Map). We recommend the 1.30-2.00 hours voyage by either the Lomprayah Catamaran or the Seatran Discovery which leave twice daily for Koh Tao. There are other options available via other boats, but these are by far the fastest and best ways to reach Koh Tao. Regardless of which option you choose you should be aware that the last boat leaving Koh Samui for Koh Tao is 12 noon.